Ebay is a marketplace which offers online products to the customers. It is one of the leading e-commerce corporation, headquartered in San Jose, California. 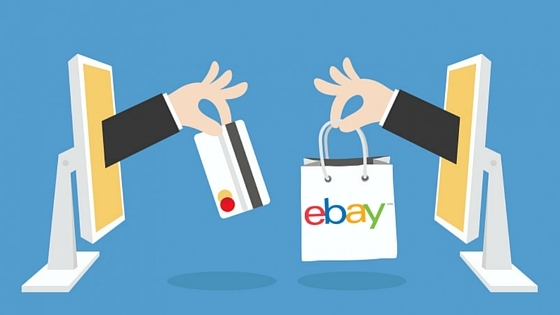 Ebay understand the customer's need and requirement and as such fulfill the same by providing the trending and varieties of Products. As an eBay Customer, you must know few trips before shopping any items. Here you will find the best tips and the same are listed below. eBay offers the discount in multiple products on a daily basis, and the same is highlighted, so before shopping for any items, always check the “Today's deal” section. If any product matches your criteria then go for it. Sometimes, the seller misspelled the items name and due to this, the product is unreachable. So when you are searching the product also type the misspelled words. Before selecting any items, always read the customers review as it gives the positive and negative information about the product. So it helps you to choose the product in an Optimized way. This is one of the good means to cut the cost, as the last minute bidding enables you to purchase the product at the discounted rate. If you don't find any offer in the Product and want to get it at a lower price, then start the conversation with the seller and ask about the Products description and features and later go for the Negotiation. It works well and depends upon your negotiation skills. Sometimes the sellers offer the product at less price outside eBay. Try to avoid such scammers as they ask for the Money transfer in such mode which can't be traced. So always stay in eBay and shop from there. Always go for trusted payment gateway such as PayPal. It keeps your account safe and secure from the scammers. Don't go for another mode of Payment. If you want the Product at least price, then cut the shipping cost. Select the Local Product, you can also get the discounts and if you find any defect in the Product, you can easily replace the same. If you are looking for a product and consuming a lot of time in it, then click on the “Alert” button. After doing the same, the eBay will send you the email as soon the desired product listed in the Page. Use the eBay search section to compare the prices of the Product. The search tool will provide you the Price list of the product. Hence, this enables you to get the best price of the product. For further information, please contact eBay Customer Service, the team offers the info which is very beneficial for you. They provide the comprehensive information about any query. So must contact them for the effective shopping.